Resident Evil 2 introduces us to Claire Redfield, Chris’s sister from the first Resident Evil and Leon S. Kennedy who has since been made famous by the spectacular Resident Evil 4. This game is still a breakthrough in storytelling. You decide to play as Leon or Claire then after you through their half of the story you switch to the other one and find out how the game really ends and what Claire doing while you were playing as Leon and vice versa. Capcom called it the "Zapping System". Also in this game during the second half you are always being chased by a giant scary bald man in a dark green trench coat named Tyrant. He is always jumping through walls and shows up out of nowhere and in most cases you have to defeat him because you are trapped. Resident Evil 2 is still great. We have played through the whole game at least 10 times. Gone is the horrible voice acting and real life actors cut scenes from the first Resident Evil and after you beat the game with both Leon and Claire, you get a ranking and depending on the ranking you get weapons with unlimited ammo. If you do really well you can unlock a secret member of Umbrella security force Hunk who is not as well known in the Resident Evil universe. You play as Hunk trying to escape Raccoon City in his own mini-game. There is also The Tofu Survivor" where you play through Hunk story as a giant blob with only a knife as a weapon. This game is another one that seems to be forgotten about since Resident Evil 4 came out. 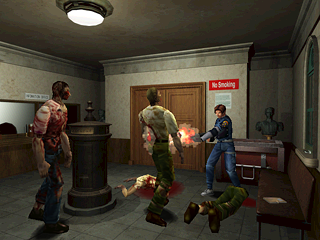 With remakes starting to more and more popular Resident Evil 2 should be considered as a HD remake candidate. Playing both storylines will take between 10 to 12 hours your first time through, the replay value is high and Resident Evil 2 is worth the $6 price point. The good news is that it goes on sale all the time for as cheap as a $1. 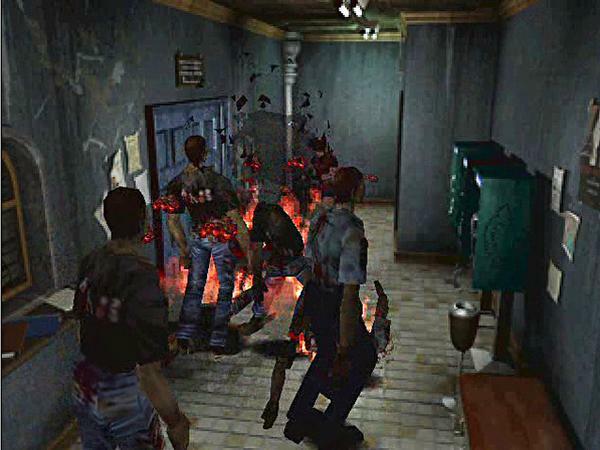 Resident Evil 2 is a must own for all retro gamers even if you never played it before.